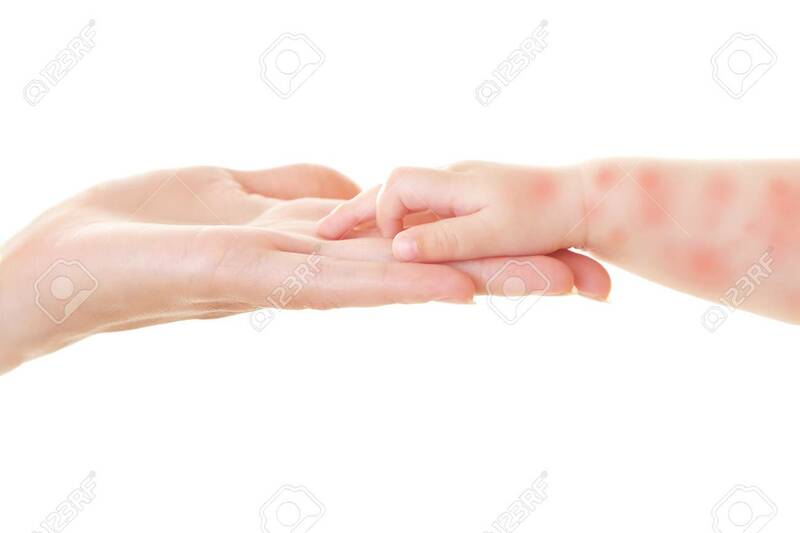 Mother Holding Hand Of Little Child With Red Rash On White Background, Closeup. Concept Of Babies Allergies Banque D'Images Et Photos Libres De Droits. Image 92123892.